Grand Central Publishing, 9780446583084, 544pp. In the horrible aftermath, Leo demands only one thing: to investigate the killer who destroyed his family. His request is summarily denied. Crippled by grief and haunted by the need to find out exactly what happened on that night in New York, Leo takes matters into his own hands. 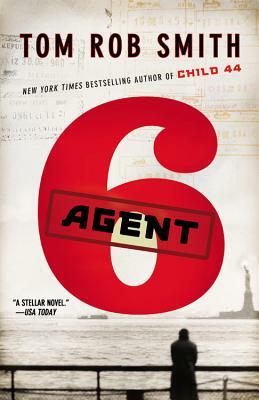 It is a quest that will span decades, and take Leo around the world--from Moscow, to the mountains of Soviet-controlled Afghanistan, to the backstreets of New York--in pursuit of the one man who knows the truth: Agent 6. "A gripping, relentless whodunit plot...Most readers will reach the final page with regret and in awe of Smith's uncompromising vision of the realities of a police state and the toll it takes on those caught in its meshes." "An old-fashioned thriller that would do Ludlum and le Carré proud...A big book, in every sense, that's sure to draw attention."